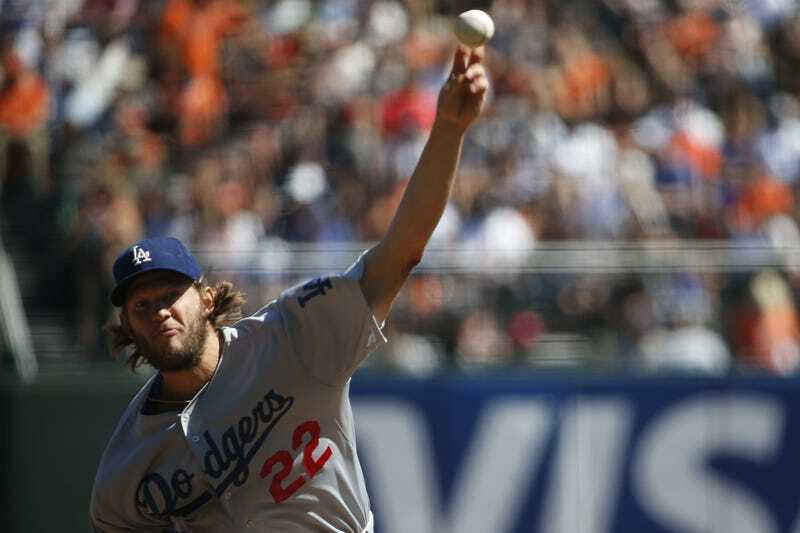 Clayton Kershaw followed-up his NL Cy Young win by taking home the NL MVP trophy too, becoming the first person to sweep those awards since Bob Gibson did so while playing for the Cardinals in 1968. The Marlins outfielder Giancarlo Stanton—whose candidacy might have been sunk when he took a fastball to the face and missed the final two weeks of the season—was the runner-up with eight first place votes. That caveat aside, Kershaw had one of the most dominating pitching seasons, and pitching for a playoff team instead of the meh Marlins surely helped. In the American League, Mike Trout finally broke through to unanimously win his first AL MVP award after finishing runner-up to Miguel Cabrera the past two seasons. He led the AL in runs and RBIs while finishing just three home runs behind Nelson Cruz, dominating most of the "traditional" stat categories two seasons after he was the sabermetrics vote for MVP. Trout is just 23 and has made about two million dollars in his career, or the same amount of money Ryan Howard got paid for his first 13 games this season. Sometimes life is unfair.